Three times in a row, against odds she had hit seventeen and come up with twenty-one. It was a fool’s play yet based on the pile of chips in front of her; she was anything but a fool. A crowd gathered watching, other players left the table, it became the Bride and the Dealer. It is a new season, time for a Winter of Disturbing Flashes. 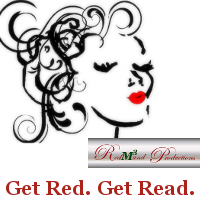 Flash in the Pan is brought to you by the remarkable Red of M3 fame, to join in the fun read the rules at the link provided and get to flashing! The word this week isMind, with a word limit of 100. Mind comes in at 93. Thanks, I enjoyed this one also. Blackjack beats getting married any day. Less complicated, less baggage. More fun! Another entertaining story! Agreed, entirely and without any equivocation. Haha! One of your best yet, gal! Thank you my friend. This one was quite fun to write. I think this entire season will be fun actually. Thank you, this one was fun. I do also, Hit Me. I also like Caribean Poker. Games of Chance, like marriage should always be considered proposals, don’t you think? So the bride’s found a more enjoyable pastime than a wedding. And Lady luck happens to be on her side–for the moment.Too hilarious. I laughed out loud. Sorry. Ah come on Elyse, I did…though must admit I escaped to the Blackjack tables in full regalia (only after I said ‘I do’). Not me. In fact, Vegas holds no allure for me at all. Not a speck! But it’s a great image I have of you, Val! I read this and was certain that your protagonist was in Vegas and the chapel was “the Elvis”. Certainly Vegas is likely (btw that is where I got married). Is the Elvis in a casino? Was “Viva Las Vegas” your wedding song? I used to know someone who thought that should be our national anthem. No, “the Elvis” was just a reference to “the Elvis chapel” without saying chapel again since that struck me as redundant. It didn’t occur to me that it might also be incomprehensible. I was only curious, I know how many people get married by Elivs in chaples with Elivs themes. I wondered if there was truly an Elivs Chaple, that would make me laugh, if it were actually in a casino that would make me laugh harder. There are so many tacky things in Vegas, though I like the city it is rather fun in an over the top way. No, we didn’t actually have a wedding song. Sometimes the odds are on your side. Got a laugh out of this one, Val. Off topic–I still can’t wrap my brain around the notion that it’s winter–sort of. Some folks have already had snow. I feel weirdly, seasonally off. Oh well–winter flash, it is. Winter it is, thankfully I am in Texas and working in South Texas where it remains in the 70’s at night and in the high 80’s to low 90’s during the day. I don’t do Winter. Glad you liked this one. I am trying to keep it a bit on the lighter side, despite my mood. Actually went and looked at flights to you part of the world this morning! I stand humble and inspired in the shadow of your awesomeness. Nice Val. Nice. I am always amused Val. Laugher is good. I am hoping my flashes this time around are not quite so dark as the last go around. Glad I could bring a smile. Ha!!! What’s not to love about this?! Made me laugh out loud at 4 in the morning before coffee hit the blood stream…signs of a good flash! Lessons learned at the Blackjack table! Sometimes we can change our mind, sometimes we should have changed our mind, sometimes we take great risks, other times we simply look back. The lady is on a roll … but does it set her up for a crash in life. Well done, Val! You caught that did you? A change of mind, a change of heart with all the risk. So if it your style of layers in limited words .. which is a good thing.